When the Supreme Court ruled the Professional and Amateur Sports Protection Act (PASPA) unconstitutional on May 14, it opened the door for legalized sports betting in the U.S. on a state-by-state basis. New Jersey and Delaware are the first two states to begin taking legal sports bets outside of Nevada, but they represent just the tip of the iceberg. Mississippi and West Virginia are poised to follow suit in the coming months, and within five years, some analysts believe more than half of the states will be offering sports betting. The repeal of PASPA also opened the door for new questions across a sports betting landscape that had mostly existed in Nevada and offshore, including varying time zones for legal sportsbooks and home-team bias leading to different odds in different states. When the odds to win Super Bowl LIII were posted last Thursday at Monmouth Park in New Jersey, there were no signs of regional bias, no apparent concerns from bookmakers that they'd be overwhelmed, for example, by bets on the Philadelphia Eagles from local fans. The Eagles were 17-2 to win the Super Bowl at the new William Hill sportsbook at Monmouth Park, just like they were at the William Hill sportsbook at Casino Royale on the Las Vegas Strip. Philly's Super Bowl odds were 8-1 at the Borgata in Atlantic City, an MGM property; they were also 8-1 at the MGM Grand in Las Vegas. Until recently, this wasn't something Las Vegas had to deal with, but it's coming. Just think: the Eagles may be taking on the Las Vegas Raiders in a few years. The betting action at Pennsylvania books could be lopsided on the Eagles, while the action in Nevada might be heavy on the Raiders. Will the point spread on the game vary wildly from state to state? Opinions vary, but the majority of bookmakers told ESPN they don't expect to have significantly different lines to start. Complicating matters further is the business arrangements made between racetracks outside Nevada and sportsbooks operators. Monmouth Park -- a venerable racetrack in Oceanport, New Jersey -- will split sports betting revenue 50-50 with its bookmaking partner William Hill, which arrived in Nevada in 2011 and now operates more than 100 venues in the Silver State. Monmouth Park, of course, will want William Hill to maximize profits at the track, while the bookmaker may want to consider its overall corporate bottom line. "We don't know what to expect until we get into the season and find out exactly what we're up against," William Hill's director of trading, Nick Bogdanovich, said. "You can prepare to make a decision, but you really can't until you're into the fight. This will definitely be an easier question to answer come Sept. 6." The Sept. 6 date referenced by Bogdanovich represents the official start of NFL season, when far more money will begin showing up in legal sports betting states. The Eagles, by the way, are 4.5-point favorites over the Atlanta Falcons on Sept. 6, both in New Jersey and Nevada. "Their liability [on the Eagles], given parlays, teasers, straight bets and parlay cards, could be extremely massive," Ed Salmons, oddsmaker at the Westgate SuperBook in Las Vegas, said. Any kind of "homer effect," while not yet evident in New Jersey, is one of several unknowns for bookmakers and bettors entering a new landscape with expanded legal sports betting in the U.S.
Golden Knights give Vegas a sense of potential "homer effect"
Las Vegas bookmakers found out the hard way what it's like managing odds and taking bets on the home team this year. In their inaugural campaign, the Vegas Knights put together a historic season, both on the ice and at the betting counters. A bettor who staked $100 on the Knights on the money line in every game during the regular season and throughout their postseason run would have ended up with a profit of $2,376. That's the largest money-line profit of any team in at least the past 13 NHL seasons, according to sports betting database BetLabSports.com, which has data back to 2005. The Knights' improbable season made for a stressful learning experience for the city's bookmakers. Art Manteris, who has been taking bets in Las Vegas for 40 years, said a Knights' Stanley Cup win would have cost him his largest loss ever, more than any Super Bowl or World Series wager, even more than if Conor McGregor would have upset Floyd Mayweather in their September 2017 megabout. "I was sweating it," said Manteris, now vice president of race and sports at Station Casinos. Statewide, Nevada books avoided an estimated $5-$6 million loss when the Knights lost to the Washington Capitals in the Stanley Cup Final. The books also took their lumps during the regular season, as the city fell in love with Knights and showed its affection for the hometown heroes at the betting windows. Over and over, night after night, Las Vegas books found themselves needing the other side. "I can't remember a night where we actually needed the Knights," said Hugh Citron, oddsmaker for the Stratosphere in Las Vegas. Sportsbook operator CG Technology, which operates at the Venetian and other Las Vegas casinos, said its hockey handle increased 25 percent year over year, but its net win on hockey decreased by 500 percent. The South Point sportsbook said its hockey season was similar: Significantly more money was bet on pucks this season compared to last, but it won significantly less ("$100,000 less," South Point sportsbook director Chris Andrews told ESPN). Despite the lopsided action, there weren't giant discrepancies in the game-to-game odds on the Knights at Las Vegas books compared to offshore prices. For a March 2 game against the Ottawa Senators, the consensus price on the Knights at Nevada sportsbooks was -280, while it was only -264 offshore. 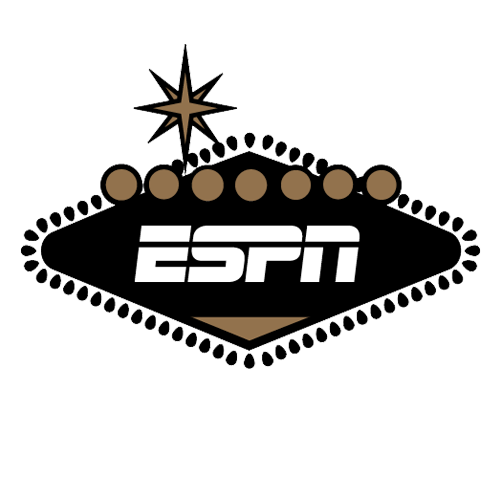 That represented the largest discrepancy on Knights odds between Las Vegas and offshore this season, according to an analysis by ESPN Stats & Information. The prices on the majority of Knights' games were very comparable, on average just a few cents different. Andrews, who has been booking bets in Nevada since the late 1970s, expects to take a similar approach to managing the odds and point spreads when the Raiders arrive in Las Vegas in the coming years. "If the number is close, we may end up a half-point higher [on the Raiders] than the offshores," Andrews said. "But really, there's so much wiseguy action now, and everyone kind of knows the line. Sometimes if you're teetering between two numbers, you maybe go in the Raiders direction. You're not going to just add a half-point or a point every time that they play. It's just not going to work that way." Professional bettors would certainly like it to work that way. The wider the variety of lines that are available, the better for sophisticated, high-volume betting groups, which often end up on both sides of a game at the best prices and odds. Shane Sigsbee, co-founder of Nevada-based sports betting group Imawhale Sports, hopes to see books in other states offer varying lines. Sigsbee said he's paying attention to what's going on in other states and plans on spending most of his August visiting the new states with sports betting. "The biggest thing for us is if MGM is dealing the same exact line across all states and William Hill is dealing the same line or Caesars that takes away a ton of opportunity," Sigsbee told ESPN. "Mississippi is a good example. They're going to have to shade toward every SEC team. I can't imagine that Beau Rivage [casino in Biloxi, Mississippi] is going to be dealing the same line on LSU that they're dealing in Nevada." Who will be making the U.S. line? College football opening lines begin showing up online in the middle afternoon on Sundays during the regular season. Offshore sportsbook BetOnline.com is generally first, followed by the Wynn in Las Vegas, which posts its opening college football lines for the following week at 3 p.m. PT on Sundays. In the first few hours, especially early in the season, the spreads move quickly and often, and the market doesn't normally settle until prominent offshore book BetCRIS posts its opening numbers. BetCRIS is known to cater to sharp bettors and offer among the highest limits. Its influence on the market is significant, and lines and totals regularly drift toward the BetCRIS number. To start, expanded legalization in the U.S. is unlikely to drastically alter those proceedings. Books on the East Coast may try to push their lines out first, but, for the time being, BetCRIS and other offshore books will set the market. "At least for the next five years probably, offshore is going to make the line," said Kenny White, a longtime oddsmaker in Nevada, who consults for sportsbooks, both domestic and international. "Everyone on the East Coast is going to do exactly what everyone on the West Coast is doing: Watch how the line is bet, then put the number up." With a few exceptions, Las Vegas sportsbooks open at 8 a.m. PT (11 a.m. ET). Monmouth Park's sportsbook will be open from 10 a.m. ET during the week and at 8 a.m. on the weekends. It will close at 1 a.m. ET, Sunday through Thursday and at 2 a.m. on Friday and Saturday. The three-hour time zone difference is viewed as critical to some. "I think the three hours are huge," said iconic oddsmaker Roxy Roxborough, who set the lines for most sportsbooks in the 1980s and 1990s. "It seems more likely that the line opens in New Jersey. To me, if New York and New Jersey are going to be substantial players in the sports betting business, they're going to open earlier." In a future where in-game betting grows in popularity, when and where the opening pregame point spread is posted may not matter that much. In Europe, more money is bet while a game is played than before it starts. Sportradar, a European data and integrity service, provides lives odds to international and American sportsbooks. For a basketball game, the company's odds specialists use the pregame point spread, the over/under on total points scored and points projections for players on each team to create hundreds of different betting options. "From those three core prices, we can then distribute 200-plus betting events," Darren Small, managing director of trading services, said. "The model is constantly updating in real time and sending out any updates to our clients." Small, a veteran in the international sports betting industry, says in-game betting began to take hold in Asia a decade ago. In its infant stages, he estimates in-game betting accounted for only 20 percent of the total amount wagered on an event. Today, he believes live betting is responsible for 80 percent of the money bet. "With all the level of data in American sports, we believe you will see live betting and player propositions grow within the U.S.," Small said. "We believe the market is primed for this." In the meantime in the U.S., though, the biggest individual betting option remains the pregame point spread, bookmakers say. Expansion will bring new challenges for bookmakers, from the "homer effect" to dealing with new time zones. For now, though, Las Vegas will remain the epicenter for legal sports betting in the U.S.
"An experienced management team is already in place (in Las Vegas)," Bogdanovich of William Hill said. "I got 10 guys on my staff with 20 years of experience. We're already here in one little unit. "Right now, I am booking it like I always book. I haven't gotten any direction from New Jersey."